Atlanta's historic Old Fourth Ward has a growing population, one of the city's highest rates of children living in poverty, and a desperate need for parks. It also had an area that suffered serious flooding after storms. The city was considering costly underground piping when a better solution emerged from the community. Why not channel the storm water into a manmade lake that would become the central feature of a new park? The Trust for Public Land purchased several properties to help the city create the 17-acre park, which broke ground in October 2008. 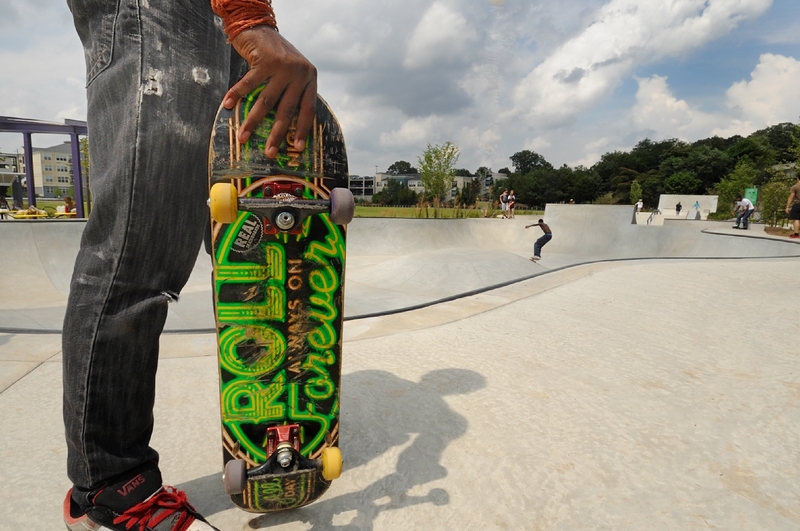 In June 2010, the park opened including a playground, water-play feature, an outdoor theater, and the city's first skateboard park. This is one of many projects we have completed for the BeltLine, a developing 22-mile corridor of parks, trails, and transit encircling downtown. In 2010, a member of the community, Kit Sutherland, was honored as a Cox Conserves Heroes finalist for her leadership in this project with the Fourth Ward Alliance. The park has quickly become a favorite gathering place for Atlantans and visitors alike.